A-HOTEL.com - Luxury and cheap accommodation in Yag, Russia. Prices and hotel, apartment booking in Yag and surrounding. Featuring accommodation with a balcony, Комсомольская is situated in Mikun'. Guests may enjoy free WiFi. Situated in Mikun', Apartments on Mechnikova provides accommodation with a balcony and free WiFi. Guests staying at this apartment have access to a fully equipped kitchen. Apartment na Gogolya 17 provides accommodation with a bar and free WiFi. If you would like to discover the area, skiing is possible in the surroundings. Situated in Mikun' in the Komi Republic region, Дзержинского 30 features a balcony and city views. Guests staying at this apartment have access to a fully equipped kitchen. Located in Syktyvkar, Hotel Viktoriya features a shared lounge. Featuring a 24-hour front desk, this property also provides guests with a restaurant. Гостиница по ул. Мира, д. Situated in Syktyvkar, 1-к квартира Тентюковская. 123 features accommodation with a balcony and free WiFi. 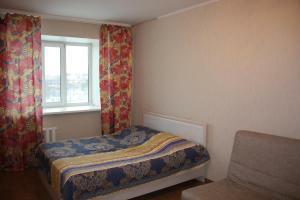 Offering free WiFi and city views, kvartira is an accommodation situated in Syktyvkar. Guests staying at this apartment have access to a balcony. Situated in Syktyvkar in the Komi Republic region, 1-к квартира Покровский бульвар, 11 has a balcony. This property offers access to free WiFi. Mini-hotel Karambol is located in Syktyvkar. The accommodation features a 24-hour front desk and room service for guests. With city views, Apartment on Lytkina 31 is situated in Syktyvkar and has accommodation with a kitchen. Free WiFi is available. Situated in Syktyvkar in the Komi Republic region, Apartament on Lytkina 31 features a balcony. This property offers access to free WiFi. на Ручейной offers accommodation in Syktyvkar. Free WiFi is featured. Located in Syktyvkar, Kosmos Apartments on Malysheva provides accommodation with a balcony and free WiFi. Guests staying at this apartment have access to a fully equipped kitchen. Located in Syktyvkar, Kosmos Apartments feature free WiFi. This apartment offers a balcony, and cable TV. Featuring accommodation with a balcony, Апартаменты на Осипенко 12 is set in Syktyvkar. Free WiFi is available. Situated in Syktyvkar, Comfort apartment - studio offers accommodation with a balcony and free WiFi. The property features city views. Apartment on Oktyabrskiy148 is located in Syktyvkar. Complimentary WiFi is offered. Located in Syktyvkar, Vivaldi features accommodation with free WiFi, a flat-screen TV and a kitchen. A microwave and fridge are also featured, as well as a kettle. Situated in Syktyvkar in the Komi Republic region, Apartament on Karla Marksa 177 has a balcony and city views. Guests staying at this apartment have access to a fully equipped kitchen.